Amidst the unprecedented numbers of refugees and migrants arriving in Europe in 2015 there was also a high number of unaccompanied and separated children (hereafter UASC). Perceiving no alternatives for reaching safety, these girls and boys found it necessary to flee on their own. The unaccompanied youth were exposed to perils along the way. More than half of the UASC who arrived in Europe were Afghan nationals. Half of these Afghan UASC chose Sweden as their final destination. 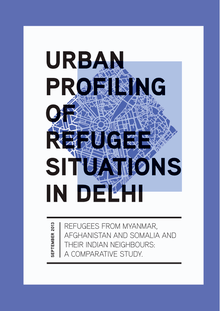 This report is a collaborative effort between the Joint IDP Profiling Service, the Feinstein International Centre (Tufts University) and UNHCR. The study was fully funded by the US Department of State’s Bureau of Population, Refugees and Migration. The profiling exercise was conducted in close collaboration with our implementing partner in Delhi the Development and Justice initiative (DAJI).